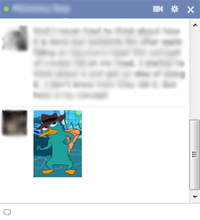 And another new discovery in the facebook chat is the display of images in the chat box. 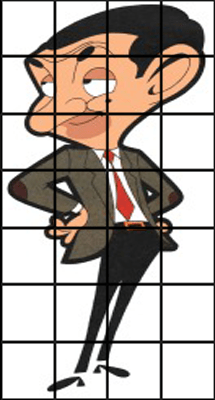 Yes, it is possible with the arrangement of the small pieces of the image in a sequential order. When an image is uploaded to facebook, it automatically generates a unique digital id for the image. This id(fbid) can be found on the url of the image. The id when written within “[[ ]]” in the chat-box, shows that image in the chat-box. So when we slice a big image into small parts and write out the ids of the images sequentially, one after another, the large image is clear in the chat box. To show a big image, the image has to be sliced into small square images. These image slices look best when they are of an approx resolution of 180×180. Technically number of slices is directly proportional to the size. These slices are then uploaded in facebook. An example will make that clear.